♥ missraevenmarie. : happy birthday, TDP! 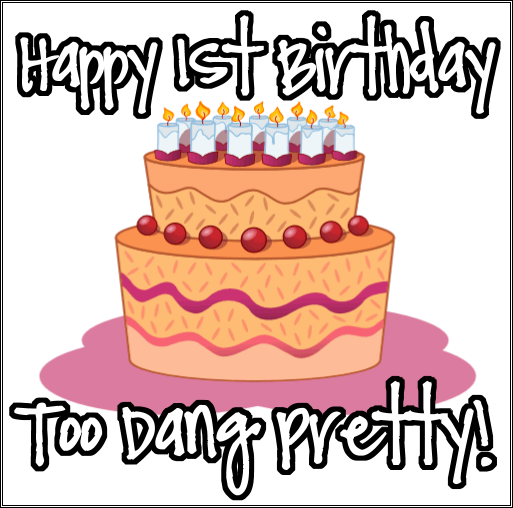 OMG - I'm so late on this blog post :( TDP (Too Dang Pretty) actually turned a year old on the 21st. 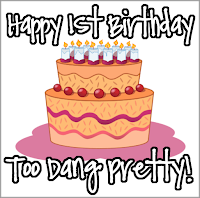 I'm such a crappy blogger, I can't even type a birthday blog post on time. *SMH* Anyway, I just wanted to thank you all for EVERYTHING! Thank you for following my blog, following my Twitter, all the nice comments you've posted, etc! Seriously, I remember my very first blog post (http://toodangpretty.blogspot.com/2009/11/bloggalogging.html) and being so excited to enter the blogging world! Then look what happened: EPIC FAIL lol. When I do take the time out to post about something, I must say that it is fun. I just get kinda tired of typing everything, so I'm still debating on what my first YouTube video should be. I'm thinking a haul video, since it's probably the most simple video to edit and create for beginners. On top of "celebrating" TDP's birthday, I have given my blog an alternative name as well. I'm not sure if it's only temporary or if it'll be permanent, but I've decided to title my blog J'Adore Raeven. If you don't know, J'Adore means "I adore" in French. I kinda want my blog to actually have my name in the title, but I'm not gonna change the URL. That whole "losing your followers/breaking links on blog rolls" thing just sounds so irritating. Which do you prefer, TDP or JR? Your blog is so cute!! Love it!! I cant enter in your another blog...why? ?